After the introduction of the Mini Cooper, the BMC Works began rallying just 4 months later for the 1962 season. Under the new head of department, Stuart Turner, the new Mini Cooper won the 1962 Tulip, Swedish, German and Route du Nord Rallies with drivers such as Rauno Aaltonen, Paddy Hopkirk and Timo Makinen, shortly becoming household names. 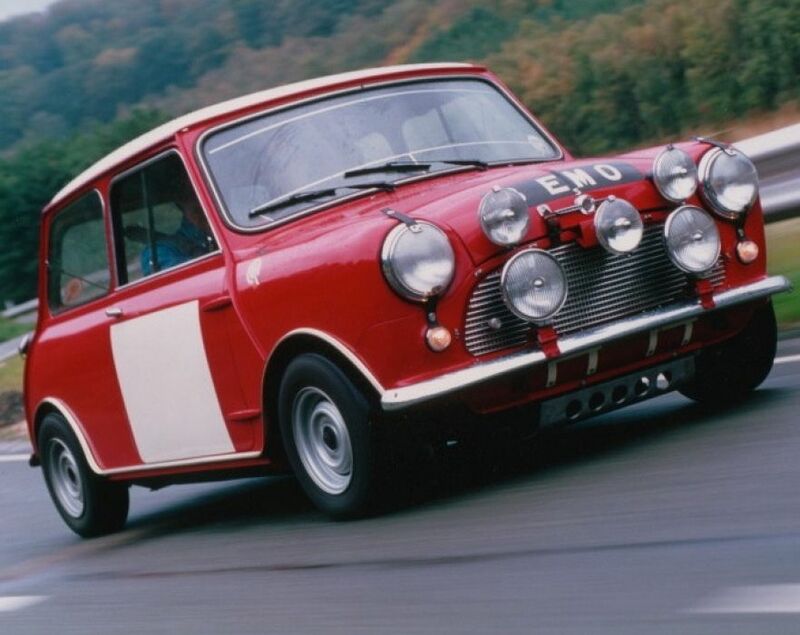 More competitive in 1963, the improved 1071cc Cooper ‘S’ was introduced in April 1963, 8 EMO being a very early ‘S’, built specifically for the 1963 RAC Rally to be driven by Paddy Hopkirk in his first year rallying Minis, accompanied by Henry Liddon. On this first outing Hopkirk and Liddon finished 4th overall, and 2nd in the touring class, 8 EMO used as the reconnaissance car, still in 1071cc form, for the famous Hopkirk/Liddon 1964 Monte Carlo Rally win, taking 1st place overall, 1st in class, and the Manufacturer’s Team Prize, arriving back in the UK by aircraft with the winning car, timed for the world’s press to see them. 8 EMO had a busy season in 1964, also appearing at the Tulip, Alpine, Tour de France Rallies as a reconnaissance car and used also for extensive testing for improved competition parts. For the 1965 Monte Carlo Rally in January, Raymond Baxter and Jack Scott attempted the 1-litre class in 8 EMO, broadcaster Raymond Baxter having been drawn into the rally to give a first hand account of the event for BBC radio, the BMC Works preparing 8 EMO to 970cc spec, one of three cars with the then-new Hydrolastic suspension. 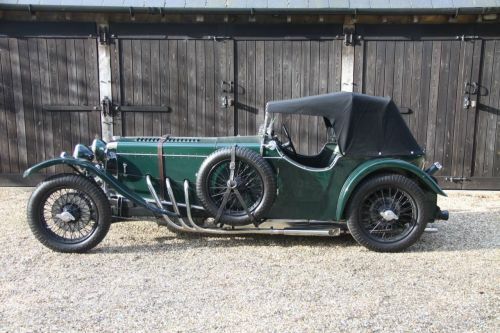 The car was shipped to Gdynia in Poland for the start at Minsk, but the engine threw a con-rod as Raymond Baxter drove to the start, forcing them to retire before the start. 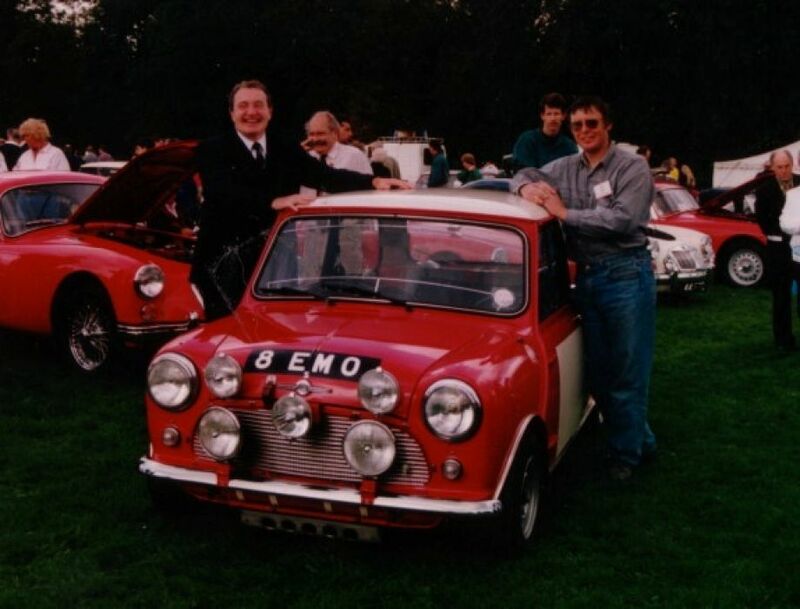 Back at Abingdon, 8 EMO was then fitted with a 1275cc engine and loaned to John Gott, Chief Constable of Northampton and also BMC team captain - to use in the 1965 International Police Rally. Paddy Hopkirk then used the car in August 1965 for practice in the 1000 Lakes Rally in Finland, a report and most brilliant photograph of the car literally flying past the camera in Autosport on 3rd September 1965. Such was their success, the Works Team went on to win the Monte Carlo Rally in 1964, 1965 and 1967, and none more controversial too was their moral victory in the 1966 Monte too, finishing 1-2-3 - Paul Easter and Henry Liddon using 8 EMO as a reconnaissance car for this event – the entire team to be disqualified because the team’s headlamp dipping system was non-standard. News of this merely served to triple sales on the little Mini in France at the time! Minis won 16 other major rallies in these years, being prominent too in saloon car racing, providing a spectacle to this day at Goodwood. 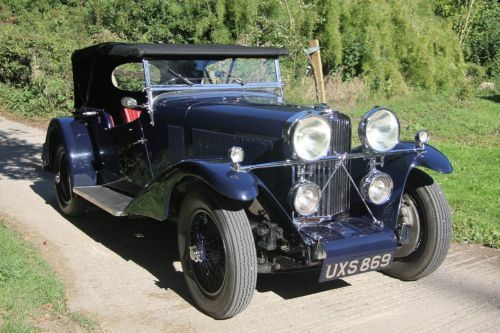 Rebuilt by the Works many times as most of the cars were after a hard life both in testing and use on many events, the Works sold 8 EMO via BMC navigator Mike Wood to Oswald Tillotsons, main BMC dealers, who Mike previously worked for, and it was then used by privateer Geoff Halliwell for rallies and also hillclimbs at Harewood. Changing hands again, 8 EMO was discovered in 1983, laid up and in need of total restoration. 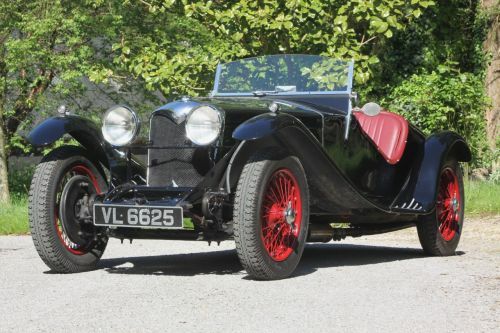 Now restored to its 1965 1,275cc specification, 8 EMO has since been used to great effect, winning many shows and also driven again by Paddy Hopkirk and re-united with Raymond Baxter. EVO magazine’s second issue also featured the car in December 1998, driven by the late Tony Pond.